What percentage of Native American blood do I need to be in a tribe? How much American Indian blood is required to be considered Native American? 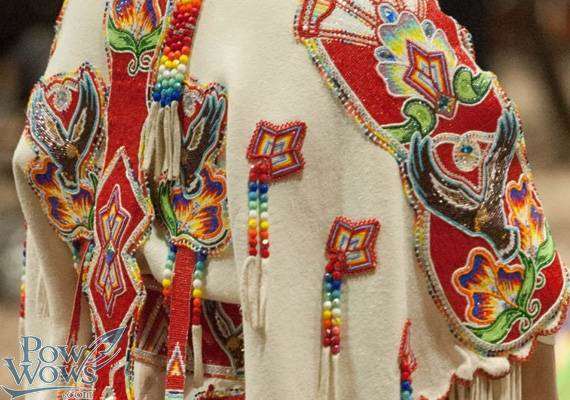 Native Americans are the people who consist one of the more than five hundred (500) distinguished tribes that still endure as sovereign states with the United States’ present geographical boundaries. These are the tribes that descended from the pre-Colombian indigenous peoples of North America. Related Info – How much % of Native American am I? For a person to be considered Native American by the United States government, they must either have a CDIB card or be enrolled in a tribe. 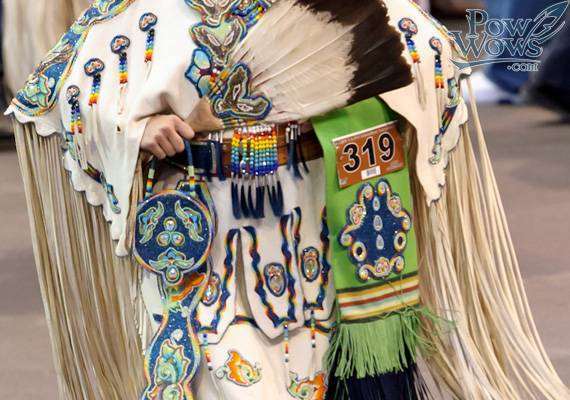 A Certificate of Degree of Indian Blood (CDIB) is issued by the Bureau of Indian Affairs (BIA) an agency under the United States Department of Interior. This certificate (CDIB) is the basis most tribes use to enroll tribe members. The CDIB is an official U.S. document used to certify that a person does possess a percentage of Native American blood. Note though, the blood must be identified with a federally recognized tribe. The Bureau of Indian Affairs issues the certificate after the individual has forwarded a finalized genealogy. The genealogy must be submitted with legal documents that include birth certificates, documents showing the applicant’s descents both from the maternal and the paternal sides. 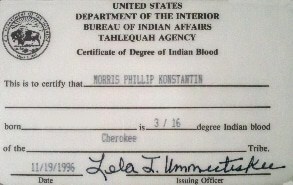 Certificate Degree of Indian Blood card issued to Morris Phillip Konstantin (Phil Konstantin) in 1996. It shows him to be 3/16ths Cherokee by blood. A certificate of degree of Indian blood shows the constituent blood degree of a particular tribe or that of all tribes in the applicant’s ancestry. The percentage required by each tribe to enroll varies. 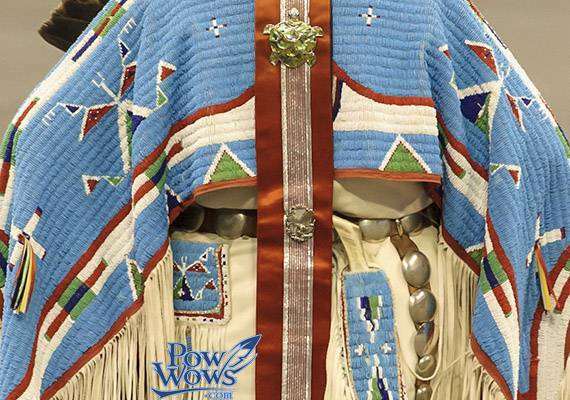 Some tribes require that a minimum degree must be met before granting membership to an individual. Related Info – DNA Results vs. Tribal Enrollment vs. CDIB — What Do They All Mean? Interestingly, even the federal government requires that you meet a certain minimum before granting you some federal benefits. According to Ancestry. Com, I am 46% native american. What does this mean for me? I took the DNA test and I came to be 76% Native American. What does this mean? I am Ponca 15/64 % (above was not clear) would my daughter be eligible to register..?? I don’t know, you’ll need to contact the tribe.